Every hidden cell is throbbing with music and life, every fiber thrilling like harp strings, while incense is ever flowing from the balsam bells and leaves. No wonder the hills and groves were God’s first temples, and the more they are cut down and hewn into cathedrals and churches, the farther off and dimmer seems the Lord himself. How often I have stood in the sun drenched meadow and gazed at this face? It is familiar to me as my own, having spent so many summers and falls there growing up. I went to the top once and I would like to do it again before I die. We’ll see. Not too long ago my Dad called all excited. 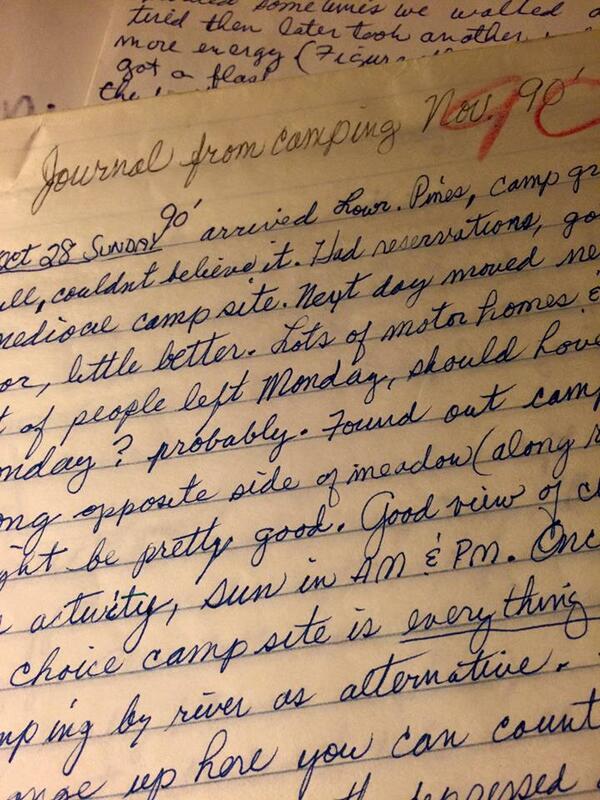 He had been cleaning out his drawers when he found some of his old camping journals from Yosemite. I though maybe I would share a few of his own words today……..in quotes. Got careless last night and left ice chest on table. Bear came and ripped it off. Consider Nytol next year, nights are long and better beds are a must! Leg really bothered me (knee). 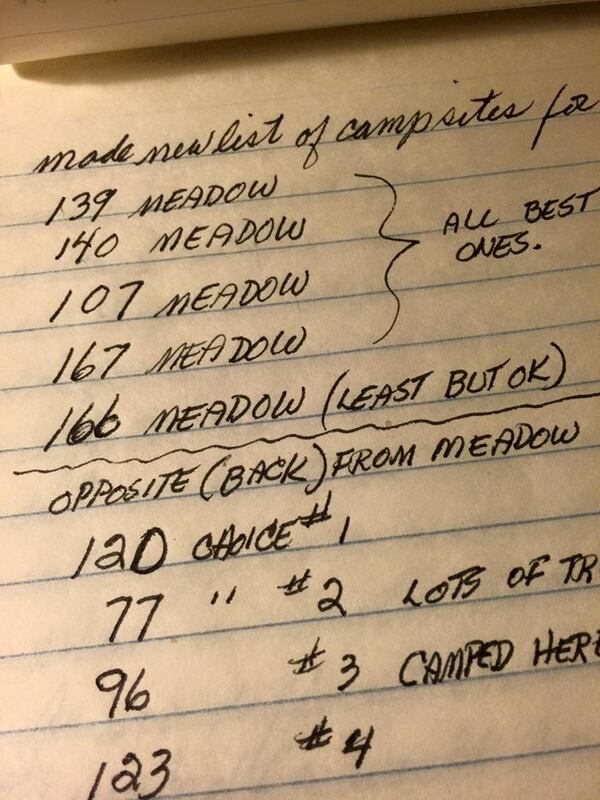 Started to take a walk to Yosemite Village and saw a campsite we really liked “96” so we moved. Proved we could pick up the tent without taking it down and move it anywhere. Entire move took about 40 min max and was simple. So, 3 campsites this year, surprisingly, site was away from meadow toward back, and really sunny, by the river. Included in Dad’s commentaries were always a running status of how many motorhomes were in the area. They were the bane of his existence, especially when the generators started up. Now I own one and love it; probably it disappoints him. But I believe it is possible to be both a tent girl and a motorhome girl though he might disagree. I guess you could say I am a bit of a fair weather camper these days, but I have no doubt I could “tent” it again, that never goes away. Thought: It just occurred to me that you really have to make an adjustment from your home life to camping in the fall. The psychological adjustment in its analysis can be a very interesting study and observation. At times it’s a very uncomfortable feeling, with your thoughts and worries all crashing in on you. I’m thinking it takes a few days of mental acclimation, but I have to think the variety of beauty up here has to quiet your mind, if you allow it. Thinking back on other times I have been up here, I remember getting pretty comfortable with the uninterrupted solitude. The ringing of the telephone at home triggers a flash or a flood of mental pictures in your mind as you walk to answer it. That can happen 10 times a day at home whether the call is for you or not. Light rain most of the afternoon. Went to Curry Lounge and spent 3 wonderful hours of total relaxation. Prayed that we would have dinner and do dishes without rain. Rain did stop and we had a fire and fixed dinner, all without rain. Wonderful. Woke up to breaks in sky, no rain, patches of sunlight, great morning. still very happy with new campsite. Heard rock slide echoing across valley floor. It was dramatic and a little scary. Over very quickly but really got our attention. Good weather all day, another great dinner by the fire. Stars started to pop out all over, and during dinner we saw the full moon come up over Half Dome. At first it lit up all the clouds and then it appeared over the top, beautiful sight! This trip everything worked for us like clockwork. Lanterns, stove, beds ok, campfires were easy, bought kindling up here and had fire going in seconds. Great one pot dinners, still thinking how foolish we were about the bear incident, but also how lucky we came home when we did. He was going for seconds when we arrived. These memories live on and they come alive when I read these precious commentaries. I wish for those days again. 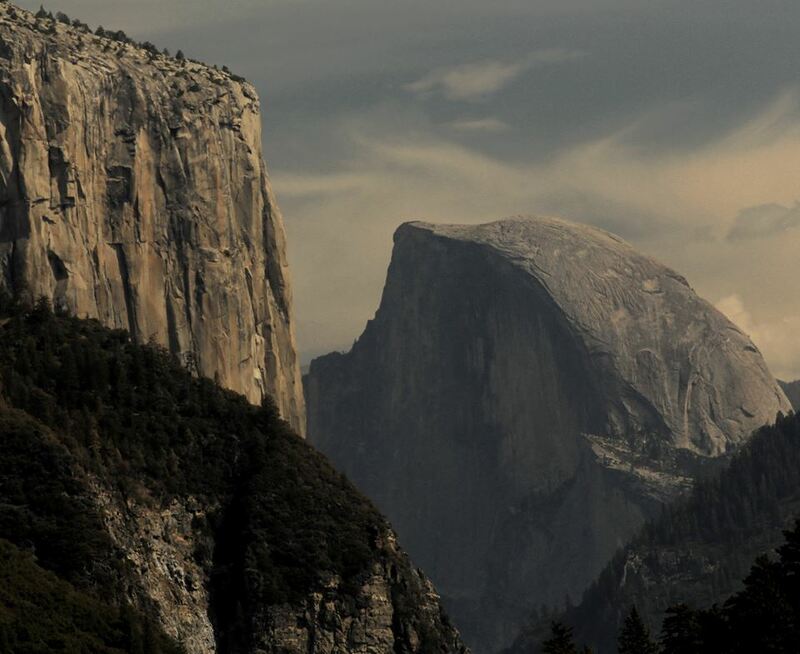 Now Yosemite is even crowded in the fall, whereas before you could shoot a cannon through the campsite and no need for reservations. So much has changed and yet, the beauty remains unchanged. Thank you Dad, for preserving your thoughts. 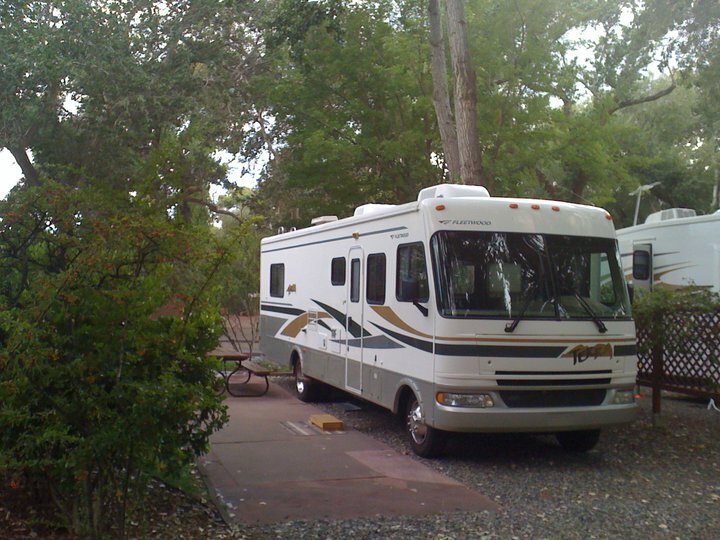 And just for you…..we never run the generator while camping. That would just be wrong. This entry was posted in Uncategorized and tagged Camping, Half Dome, John Muir, Journaling, Nature, Peace, Photography, Yosemite. Bookmark the permalink.